TERA Wiki is a wiki (an online encyclopedia community website) dedicated to covering every piece of information related to . It is written by the various anonymous and regular editors who visit the TERA Wiki to include new information that's been cited and share it among the community of TERA: The Exiled Realm of Arborea. Although it is supported by En Masse Entertainment in various means, it is not an official wiki, and fully belongs to Wikia. TERA Wiki runs under a modified MediaWiki version 1.16 software. MediaWiki allows regular editors to edit and expand the website with ease, allowing the community by itself to create a massively resourceful encyclopedia, free for anyone to read. The MediaWiki which is being run on the website has multiple pre-added extensions of Wikia which are more user friendly than regular MediaWiki. Users that do not share such opinion may try the Monobook skin as it removes all such additions. Plans for the future are to fully support the Semantic Forms extension to allow users to easily add items, skills and more into the wiki with extreme ease of use, allowing them to easily do such by just selecting options and inputting descriptions. Such extension is on hold as Wikia is unable to allow any extension requests for the time being. Since the launch of the TERA Wiki, activity was greatly frowned upon as TERA: The Exiled Realm of Arborea had not been released yet in North American and European regions, limiting players from citing information regarding it. After two years of not greatly being cited in the media, TERA: The Exiled Realm of Arborea has bought the attention of fellow editors on May 2011 to August 2012, including the help of Wagnike2 and MarkvA who greatly helped the place become more than just an unknown place, but a great start. Between March 2012 and April 2012 activity had greatly increased as the release date for the North American and European version of TERA: The Exiled Realm of Arborea was near. On 9 May 2012 founder Rexxagon promoted Zikkun to administrator to keep the TERA Wiki active. On 14 May 2012 a community contest was started to choose a new theme for the TERA Wiki to appeal to the theme and colors of TERA. Several themes were suggested, and the pool has shown that the majority of the community desires a black colored skin. On 20 June 2012 the TERA Wiki had been stuck in a situation where no administrator was able to promote or demote editors into higher or lower positions, putting the TERA Wiki in a situation where they could not be expanded due to Rexxagon's inactivity, as he was the only bureaucrat during the time. Administrator Zikkun took notice and decided to form a community vote on deciding a new bureaucrat in suggestion of Wikia staff member Trellar. The vote was terminated in 3 days as Rexxagon became more active and decided to promote Zikkun to a bureaucrat himself. As of 1 July 2012 the Wikia Spotlight now includes the addition of the TERA Wiki to help promote the wiki and bring in new editors, with the help contributed by Bchwood and Lizzunchbox. As of 2 July 2012 the TERA Wiki now officially supports the skin Monobook. A button to move forward and backward between Oasis and Monobook, along side of a purge button has been added to the editing navigation. 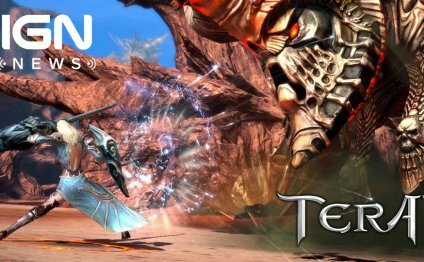 On 09 Jan 2013 TERA: The Exiled Realm of Arborea announced that it would be allowing TERA to be played for free—no subscription required starting sometime in February under the new name "TERA:Rising" bringing a new interest to the wiki. As of 12 Feb 2013 the TERA Wiki was been stuck again in a situation where no editor is able to promote or demote editors into higher or lower positions or do any of the admin task, putting the TERA Wiki in a situation where they could not be expanded due to Zikkun's inactivity, as he was the only bureaucrat during the time. Editor jay_rab took notice and decided to form a community vote on deciding for a new bureaucrat and Admin. The vote ran for 1 week, and with the support of the editors and wikia staff approval jay_rab was promoted to bureaucrat. For chatting, editors of the TERA Wiki prefer using Special:Chat due to its ease of accessibility. Frequently editors visit the chat for discussion about the state of articles, improvements to the TERA Wiki and alike.